There are big opportunities for Australian pot stocks as exporters of medical cannabis products and drugs — but global competition will be tough, say experts speaking at a major cannabis conference in Sydney this week. “If Australia can get its market activated with good regulations, taxes, Australia is poised to become a first mover as an export market for the region,” said New Frontier Data COO Gary Allen at the Cannatech conference on Sunday. New Frontier estimates the total legal and illegal Australian cannabis market is worth between $4.6 billion and $6.3 billion. It reckons there are about 2 million current users with the highest number living in Victoria. Already companies like Cann Group (ASX:CAN), which is building a large new facility near Melbourne airport, and THC Global (ASX:THC) are setting up operations to supply both local and international demand. But as Australian regulations are slow to change — and demand grows in countries that have legalised or are considering legalising medical cannabis — most believe the main opportunity is offshore. Germany is a big possible market for Australian cannabis. “It is by far as of today the largest cannabis market in Europe… Germany is probably larger than all of the countries combined,” said Marijuana Business Daily analyst Alfredo Pascual at the conference. Laws there started to be implemented in early 2017 and a “conservative” minimum estimate puts the number of users there at 20,000 – compared to the 1440 people approved to use medical cannabis in Australia since the law was changed in early 2016. Mr Pascual says an upcoming tender to grow cannabis in Germany will only offer 13 contracts of 200kg apiece, meaning the country will still need imports to cover demand. Australia will face strong export competition from Canada, currently the leading global exporter, and from low-cost upstarts like Thailand which is in the process of establishing a medical cannabis market. Lesotho is rapidly setting itself up as a low cost producer and New Frontier says Papua New Guinea is ideally placed to grow cheap cannabis as well, thanks to its climate and a pool of young workers. Australia has the advantage of being an early mover. But producers here will have to work out what their competitive edge is as more countries decide they like the taste of marijuana, the report said. 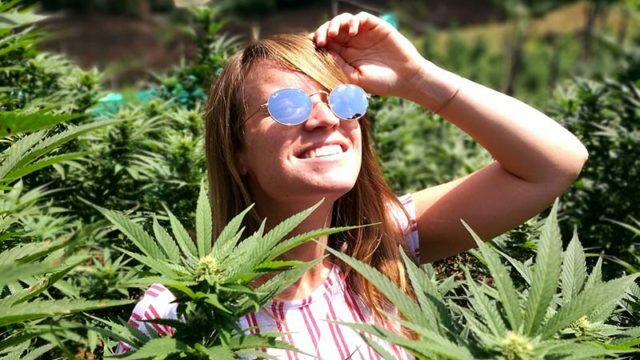 Departing AusCann (ASX:AC8) chief Elaine Darby is picking registered drugs as a focus as she rejigs AusCann from grower to drug maker. “We believe the pathway is registration,” she said on Sunday. She cited Asian and the US markets where marijuana is illegal as places where registered cannabis-based drugs can enter via the pharmaceutical route. GW Pharma’s epilepsy treatment Epidiolex did this in the US: the FDA approved it for use as a registered drug in June. Ms Darby thinks raw materials will become an internationally traded commodity where expensive countries like Australia will be up against cheap Latin American, African and other countries. Other companies going to registered drug route are Medlab Clinical (ASX:MDC), Zelda Pharmaceutical (ASX:ZLD) and Botanix (ASX:BOT).